Ulefone this week introduced its new high-end shockproof and waterproof smartphone. 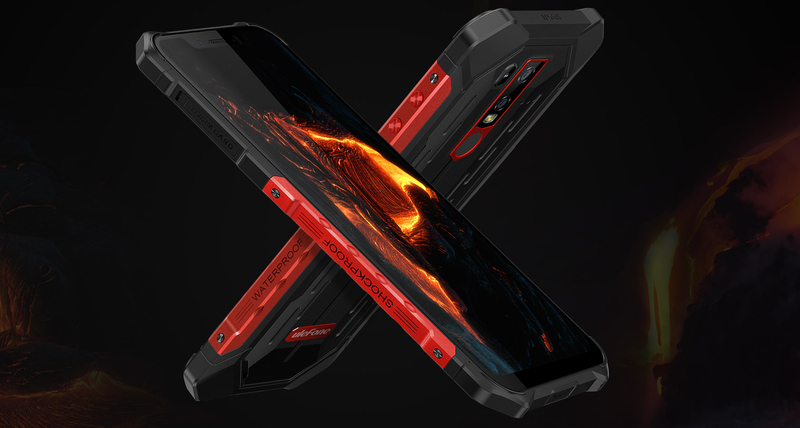 Dubbed the Rugger Armor 6, the ruggized phone combines an IP68-rated chassis, a large display, multiple special-purpose sensors, and a high-performance SoC. 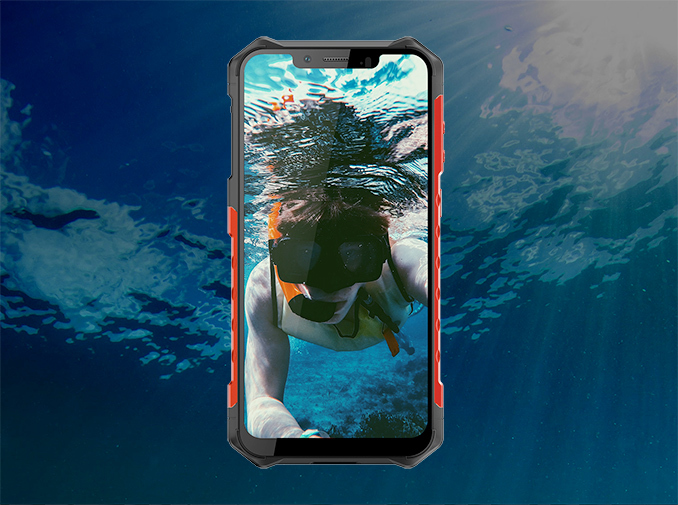 Clearly keying in on a specific market segment for the new phone, the Armor 6 will also ship with multiple pre-loaded applications that are intended to be useful during traveling or just in various harsh locales. Broadly speaking, most rugged smartphones have to make trade-offs to reach their design goals, such as using an inelegant chassis, mediocre hardware inside, or rather ordinary displays. While the general reasons behind such design decisions are more or less obvious (e.g., keep their BOM costs and heat soak in check), there are many people who prefer to have a rugged smartphone without making quite so many compromises. 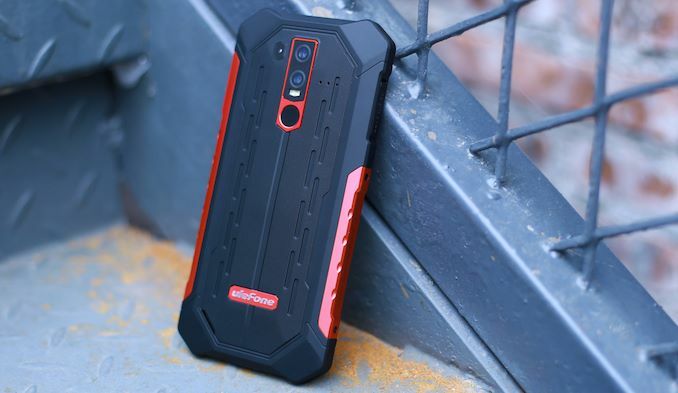 The Ulefone Armor 6 in turn is looking to carve out a niche for itself in that market by offering a rugged design with above-average hardware. On the outside, the Armor 6 has a a rather decent looking chassis featuring a die cast frame covered with protective rubber and red or grey metallic inlays. The enclosure is rated to handle drops from 1.2 meters, submersion into water (up to 1.5 meters for up to 60 minutes), thermal shocks, corrosive environments, and so on. Meanwhile, framing a 6.2-inch 2246×1080 LCD display protected using Corning’s Gorilla Glass 5, the Armor 6 is generally pretty large and heavy: it is 160 mm tall, 13.3 mm thick, and weighs 228 grams. All of which makes the Armor 6 a lot larger than standard consumer smartphones, but is fairly typical for this market segment. Moving on to the insides of the Ulefone Armor 6. The smartphone is powered by MediaTek’s Helio P60 SoC, a eight-core design with quad A73 and quad A53 Arm cores as well as Aem's Mali-G72MP3 GPU. The SoC is paired with 6 GB of DRAM and 128 GB of NAND flash storage. Many recent ruggedized smartphones have been based on cheaper SoCs with low-power Cortex-A53 CPU cores, so the Armor 6 is notable for its performance potential. 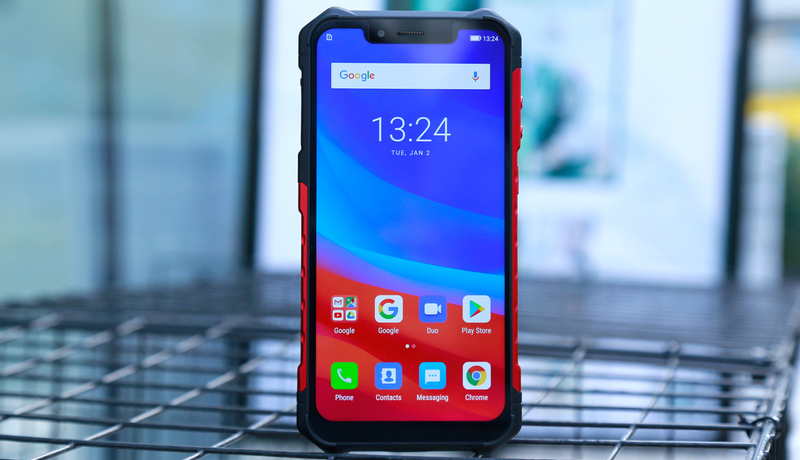 As it appears, Ulefone decided not to cut corners and used a relatively high-performance SoC with Cortex-A73 cores in order to ensure that owners of the handset can use all applications they need to with a comfortable level of performance. As far as connectivity is concerned, the handset supports 30 frequency bands as well as GPS/AGPS+GLONASS+Beidou positioning. As a result it can be used in 90% areas over the world, which is particularly useful for people who travel to various remote corners of the globe. As for local connectivity, the Armor 6 supports 802.11ac Wi-Fi, Bluetooth 4.2, NFC, as well as a USB 2.0 Type-C port for data transfers and charging of its 5000 mAh battery. Speaking of charging, the phone also supports 10 W Qi wireless charging. One particularly interesting feature of the Armor 6 are its advanced imaging capabilities, which are comprised of a 16 MP + 8 MP main camera with an ƒ/2.0 large aperture and dual LED flash, as well as an 8 MP selfie camera with an ƒ/2.0 large aperture. In order to improve the resulting image quality and boost the effective resolution of photos taken with the phone, it's configured to use both cameras at once, combining their inputs using a special algorithm designed by Arcsoft and running on the SoC ISP. While a neat feature in and of itself, the unfortunate side-effect is that Ulefone is advertising this higher interpolated resolution as the native resolution of the camera system, which in practice isn't the case. 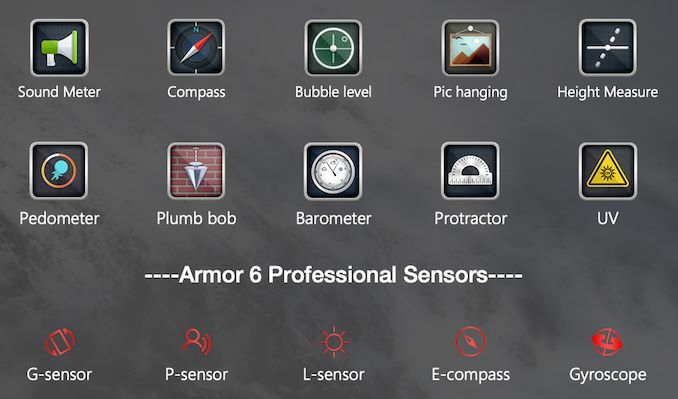 Meanwhile when it comes to sensors, the Ulefone Armor 6 has plenty that its target audience should appreciate. Among other things, the smartphone is equipped with a p-sensor, an ultraviolet sensor, a coulometer, along with the other more common sensors found in current-generation smartphones. 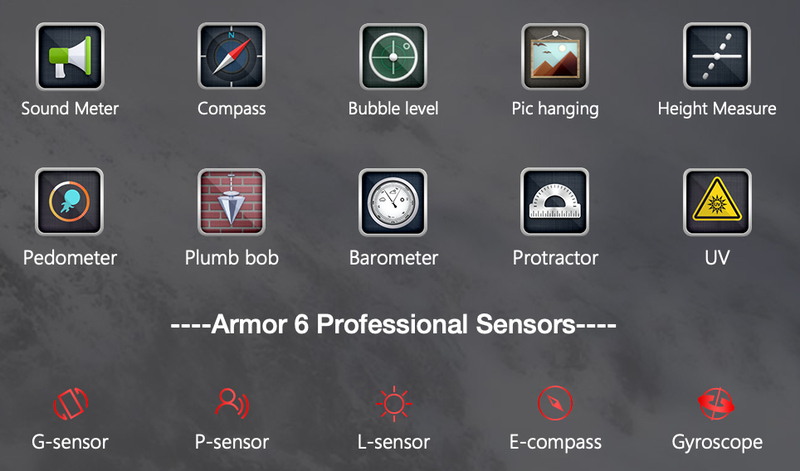 The smartphone comes pre-loaded with multiple special-purpose applications (e.g., Sound Meter, Pedometer, Bubble Level, Barometer, Protractor, UV Light Tester, Plumb Bob, etc.) that take advantage of the sensors, making it easier to access the phone's full capabilities. 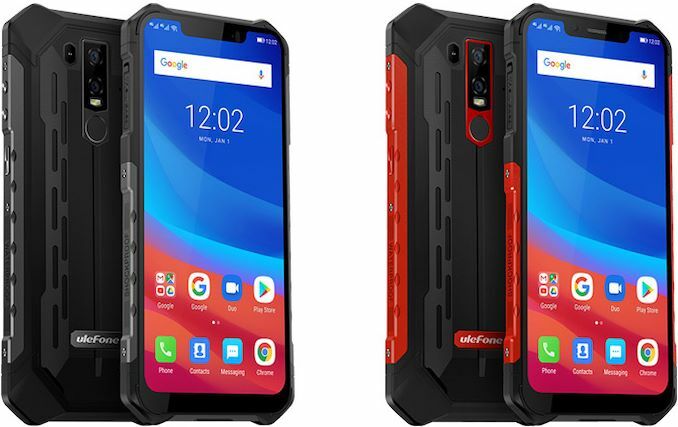 Ulefone said that its Armor 6 smartphone will ship in 2019, though they aren't supplying an exact timeframe. 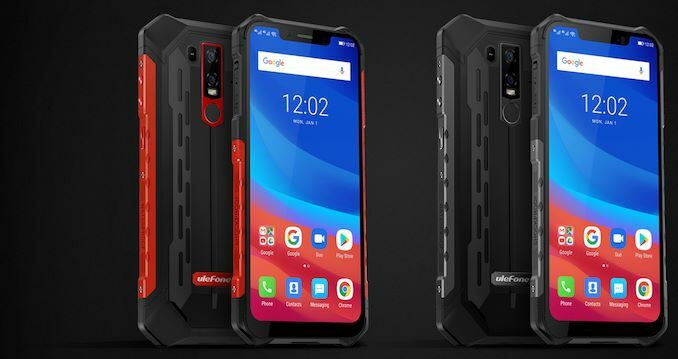 The company also hasn't yet announced a price, though if it's any pattern, the company’s current-gen high-end rugged smartphones run for $350 – $370 in the US. I do not know this brand but we can see that it is a robust smartphone compared to other phones that are too fragile. Definitely a master piece phone by looks. The rough look of the phone makes it more appreciable.